We work systematically, sincerely and zealously to make available flawless Pinnacle product data entry and uploading services. After understanding your necessities and inclinations of your projects, our team completes the work adhering strictly to the guidelines and deadlines. We, Intellect Outsource take pride in being the first choice for many who are indulged in business via web. In ecommerce, the basic mandate for favorable results is a properly functional and highly customer-driving e-store which we are capable of realizing with utmost perfection. Our product data management experts are highly experienced and backed with a proven track record of success in the same. "Rather than yelling aloud, we believe that proving ourselves would be the best and reasonable thing to do. Hence, we would like to exhibit our excellence by providing you with a sample for the project concerned." For entrepreneur supervision in each field of the online store can be of wearing and stressful. The capability of our data processing team to pull out the whole process of store management in most comfortable manner is commendatory. Bulk Items data management, bulk import, image enhancement, description writing, price updating, order processing, customer email sending, etc. are the services that our team works on and to its best way. Our specialized and highly talented team of Pinnacle data entry is really a boon. Our versatile virtual assistant team skilled and expertise in creating the title, descriptions, categories, tax class, prices, images and alternate image name by analyzing your simple and complicated product. We process meta keyword, meta title, and meta description in highly efficient manner, as per your requirements. Without compromising on its quality, we process your online store product data projects in highly professional style. Each item needs its apt platform. Initially, we make a precise knowledge of your store structure and does an intense examining of your online store items, and after discussing with you, we categorize products accurately. We create categories and subcategories with its ID using import feed or directly according to your preference. We can bring out the best here by positioning the products to its appropriate categories and sub-categories. Our virtual assistants are well efficient in projecting the salient attributes like size, color, shape, etc. in its best way, by examining the items thoroughly and opt the best attributes for the products thus displaying different variety to make the customer choose on their desire. Nothing comes beyond visual impression, our data management team are masters in creating such an impact in buyers through placing different angle snaps of the products, resizing and cropping in its best way for making it a perfect piece of attraction that tends the customers to purchase that specific product. Our description writers are well talented to boost up your products to its maximum by giving out unique and useful brief description, features, additional notes that are capable enough to grab the attention of the buyers. It is always a crucial point when it comes to future updates of product's price details, specifications, description, weight, etc. Assigned team keenly view on the alterations done by the manufacturer data sources by importing the products from the store and updates on the store time to time precisely. Several ecommerce service providers offer the option of bulk uploading, but we can prove you to be one of the best professionals of bulk upload. We are experienced enterprise in bulk import and export that extends from initial level of data collection, spreadsheet, CSV file formation to uploading and quality checking that too in a precise manner. We can handle your orders well efficiently and with high pace, in turn resulting in the uplift in your business. We entrusted to manage the entire inventory system within the short time span. Intellect product inventory team checks and updates the changes brought in product quantity and availability, accordingly customer contentment is confirmed. Cost-effective solutions tailored to specific client requirements. 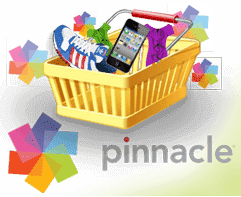 Intellect Outsource online store back office team offers you free sample work for adding product to PinnacleCart, to understand our quality work and to establish trust with us. 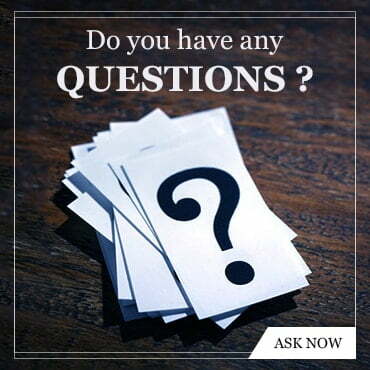 We are always eager to answer your queries and provide you the needed productive solutions. Reach us and get quality results that can assure great value for return on investment. Intellect Outsource has helped us with uploading andorganizing product on our store. We love that they respond quickly and deliver the work in a timely manner. They're always open to feedback on how to get the task done perfect and then proceed to get it right, so they're good to work with.